Andrews McMeel Publishing, 9780740745324, 320pp. Dr. Thomas J. Stanley first swept aside the mythical magic curtain of wealth with The Millionaire Next Door, revealing just who and how common the truly wealthy were in this country as well as the characteristics and habits that made them so. 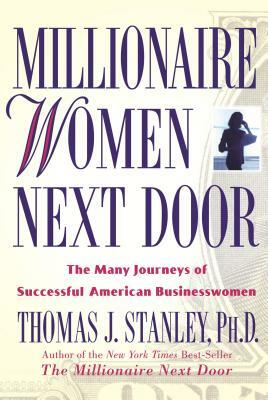 With Millionaire Women Next Door, he now focuses on one of the least understood but increasingly rich demographics. Dr. Thomas J. Stanley began studying the affluent in 1973. His coauthored New York Times best-seller, The Millionaire Next Door, was released in 1996, and has sold over 2,500,000 copies worldwide. Thomas followed his first book with Marketing to the Affluent, ranked among the ten outstanding business books by the editors of Best of Business Quarterly. His second New York Times best-seller, The Millionaire Mind, explored America s financial elite and how they became so when it came out in 1999. The author, who lives in Atlanta, holds a doctorate of business administration from the University of Georgia in Athens and was formerly a professor of marketing at Georgia State University."